Around 30 cyclists from the River Cycle Club rode from Frank James Park to downtown on decorated bikes today. Dec. 21, 2016 1:00 p.m.
Around 30 cyclists from the River City Cycle Club braved the cold and gathered in Frank James Park this evening. 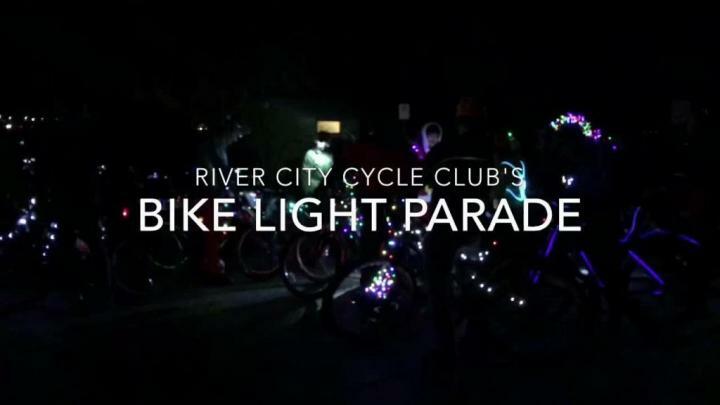 Each rider had their bike decked out in Christmas lights. Some wore costumes and others attached lights to their helmets as well. The group paraded up the sidewalk towards downtown at around 5:30 p.m.